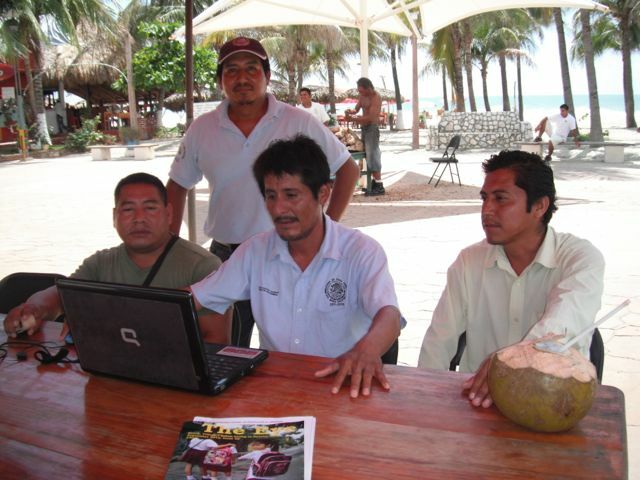 Esteban Santos Canseco, the director of the Zona Federal of Santa María Colotepec is the leader of a four-person team responsible for monitoring the beach and the 100 or so federal concessions stretching from Playa Principal all the way to Puertecito. 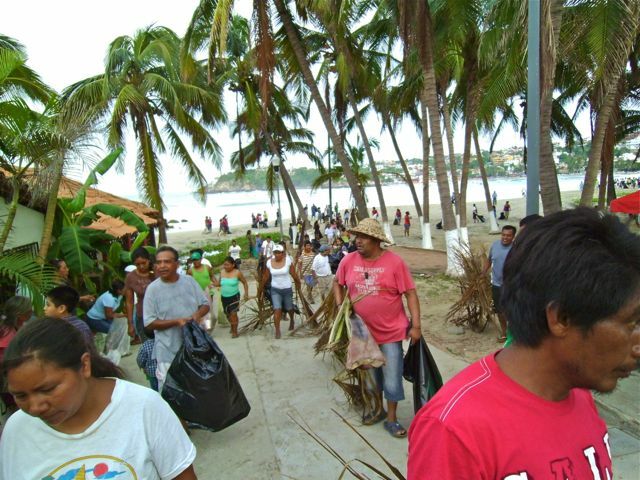 One of his tasks is leading groups of volunteers to clean the beach, especially from the detritus left after each rain. Recycling of plastic containers is another of his concerns. 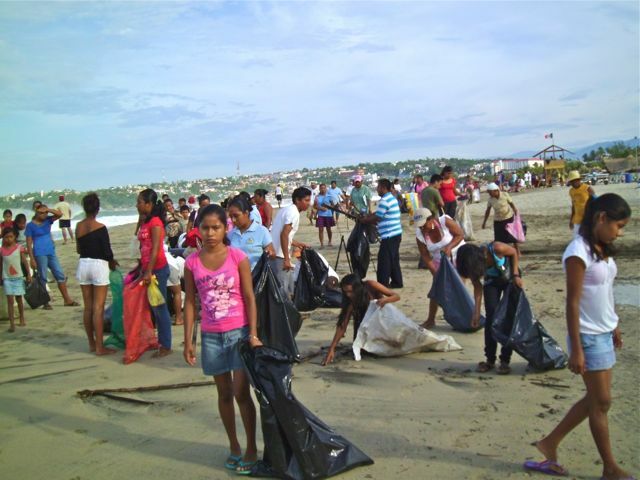 There are five organizations –Pericos de la Costa, Unión Femenil Colotepecana, Amigos Artesanos, Condor Solitario y Unión Yuta Cuú– which provide over 800 volunteers to clean the beaches under Santos Canseco’s direction. With no shortage of people-power, what is needed is contributions in the form of large plastic bags, rakes and wheelbarrows. For more information, visit the Zona Federal cabin on Zicatela, on the beach across from Merlin’s.